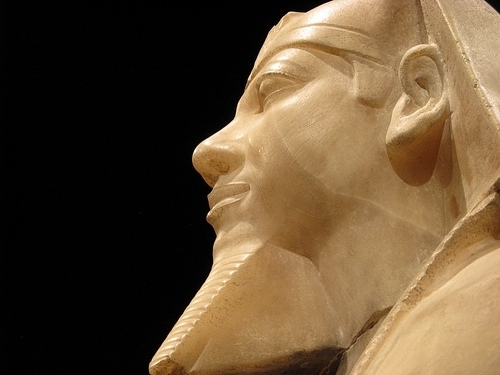 Mykerinos was one of the kings of the 4th dynasty. According to the Turin King-list, his rule lasted for 18 or 28 years. Mykerinos was the son of Chefren and Khamernebti I. He was married to his sister, Khamernebti II, with whom he had a son, Khunre, who died at young age. He probably had two other wives, but their names are not known. One of these wives bore him a son, Shepseskaf, his successor, and another bore him a daughter, Khentkaus I, who was said to have married Userkaf, the first king of the 5th Dynasty. The highest attested year from Mykerinos' reign refers to the 11th cattle count or the year after the 11th cattle count. With a biennial cattle census, Mykerinos would at least have ruled for 21 or 22 years, which, in view of the fact that his funerary monument was left unfinished when he died, would seem too long. The general consensus appears to be towards an 18-year reign and an irregular cattle census. The Turin King-list also places another king between Chefren and Mykerinos, with an unknown number of years. This king may be the otherwise unattested Bakare, who may have been another son of Kheops. Contrary to Cheops and Chefren, Mykerinos was later seen as a benevolent and wise king. 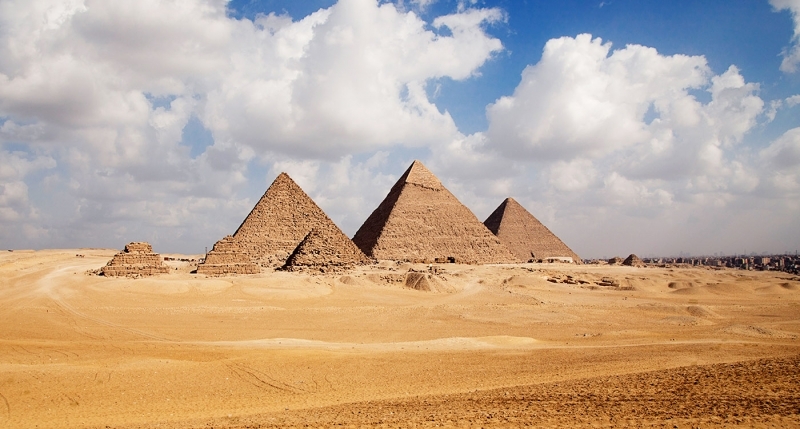 This may have been caused by the fact that his pyramid, built next to the pyramids of Cheops and Chefren, was slightly less than half the size of these two great pyramids. The mortuary temple built in front of his pyramid was completed, be it somewhat hastily, by his successor Shepseskaf. 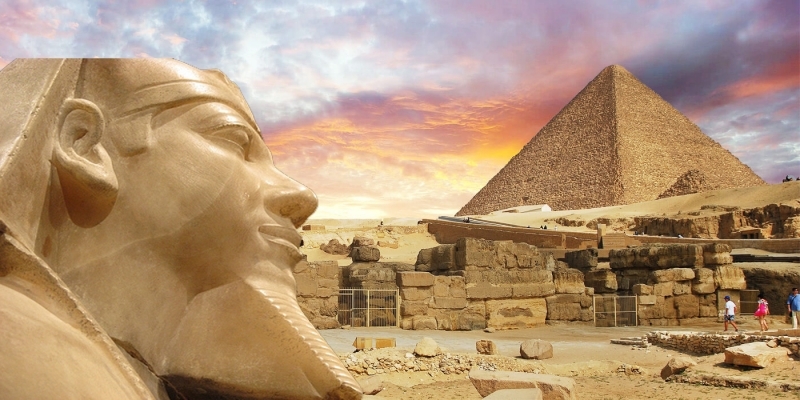 A visit to Menkaure Pyramid could be through our Egypt Tours.